We’ve put together this comprehensive brand style guide to share detailed information about our rebranded logo, TrustBoxes, star images, and other assets. Follow our best practices and tips & tricks to effectively unlock the power of Trustpilot branding across all of your communications and channels. For high-res or custom sizes, you can also download our official Brand Assets Package (high-res and vector files). For more details on how to integrate reviews on your website, follow our service reviews integration guidelines. Our brand mark represents leadership, progress and people. Companies who correctly feature our brand mark across their various communications and materials will showcase to the world that they truly care about their customers. Below, our primary brand mark is on top, and our secondary brand mark is underneath in both light and dark versions. We have created a safe space around the brand mark which is half the width of the star. Please do not put any other graphic elements, additional lettering or imagery anywhere in these areas. We recommend a minimum width of 72px for digital applications and 20mm in print. It’s important that the appearance of the logo remains consistent. The logo should not be misinterpreted, altered, modified, or added to in any way. If you have any questions on how to feature our brand mark within campaigns or communications, send an email to brandteam@trustpilot.com. 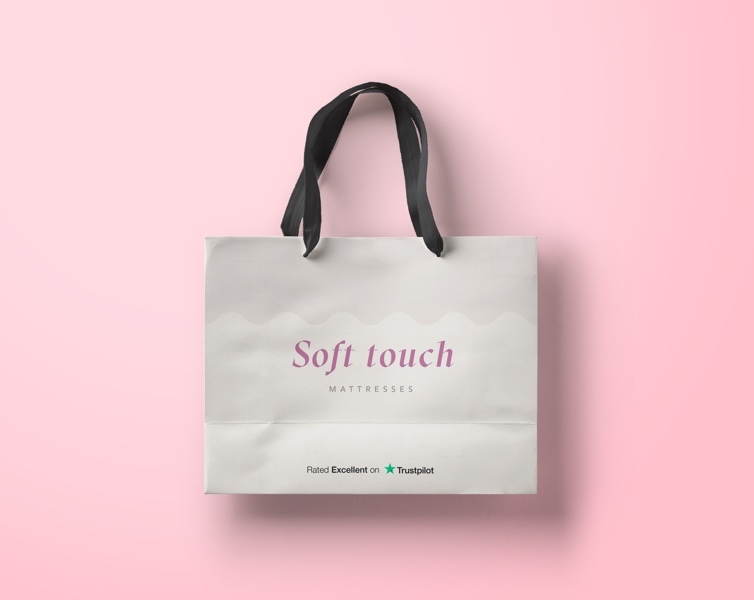 You can use the Trustpilot logo on anything you like, from bags to boxes, banners to signage, digital ads to web. Using it in the best way possible allows it to add more value and credibility to your brand. 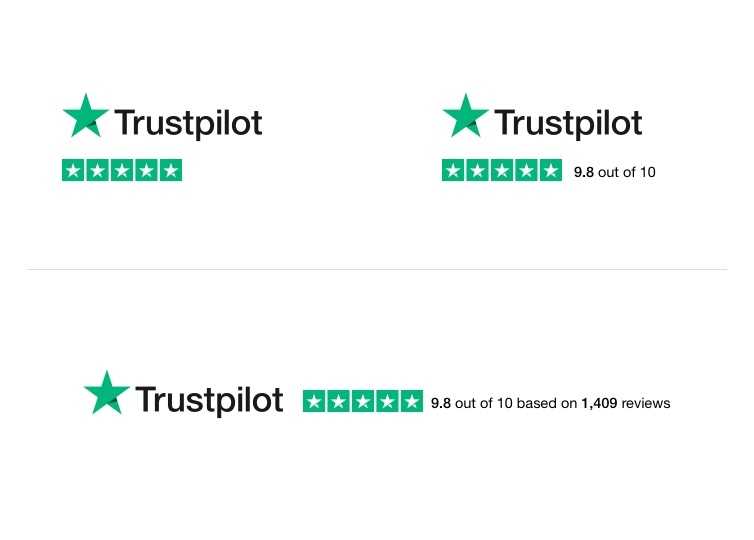 Follow the guide below to get the most out of the Trustpilot logo. Your first choice should always be for our primary logo. Our green star is the most recognizable of our assets, let it shine bright! Avoid cluttered backgrounds, use the dark version on light backgrounds and the light version on dark backgrounds. See below a reference image of our primary logo on a light background. 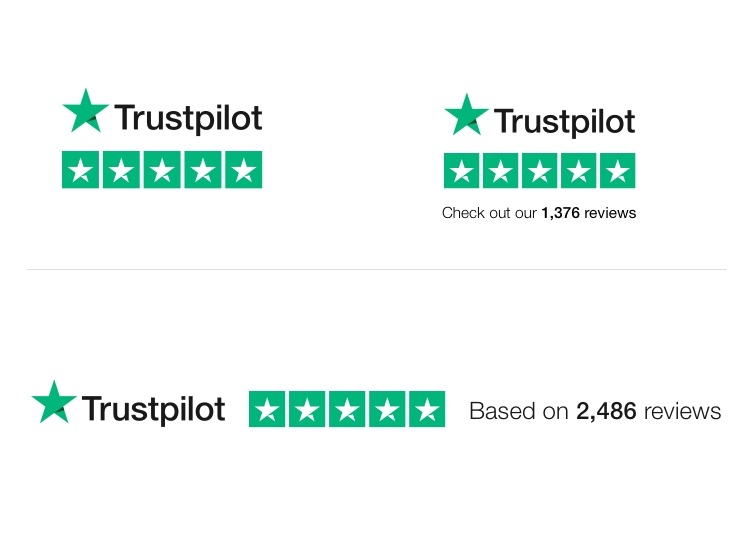 The primary Trustpilot logo should only be used on simple light or dark backgrounds, without obstruction. 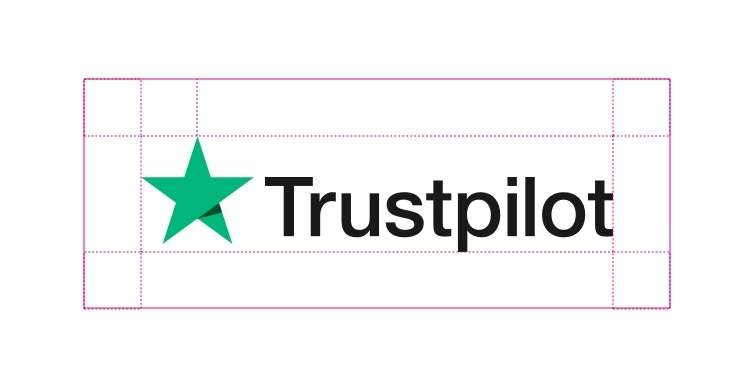 A busy photographic background makes it difficult to see the Trustpilot logo. For busy backgrounds, especially photographs, place the Trustpilot logo on a white or navy card to help the star pop. Our brand dark blue color (#000032) can be used as a background to make our logo pop. Examples of using our primary logo on a white background and a dark blue background. It’s not always possible to use our primary logo, so we’ve created a simplified version in a single color. Use this only in cases where absolutely necessary. For maximum readability, it should not be obstructed by other design elements. Our wordmark is Helvetica Neue Medium, a clean, neutral font. It has been crafted to sit comfortably in your brand universe. It doesn’t steal the show, but it’s still strong enough to represent all that we stand for. Therefore, it’s possible to maintain your company’s branding together with our brand assets. To fully take advantage of our brand equity and to achieve maximum recognition, you can use our brand typography Helvetica Neue Light together with our logo. Below, the left ad features our Trustpilot brand font and the right ad features the company’s own brand font. 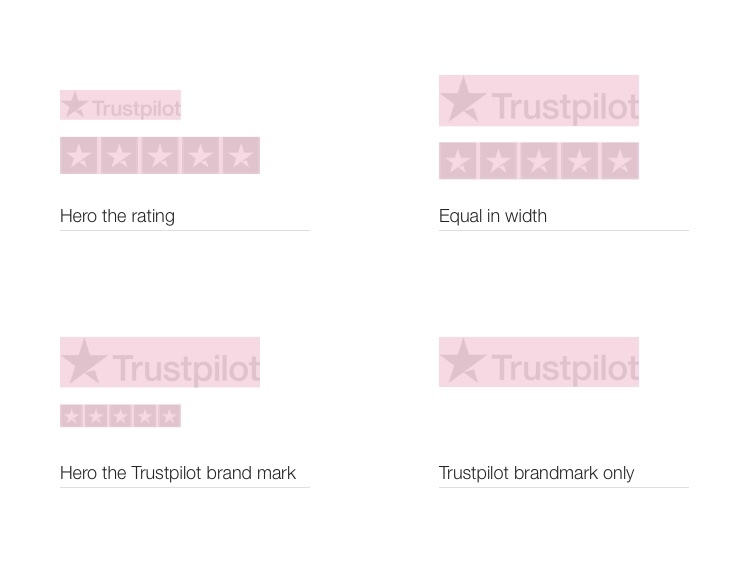 The default Trustpilot stars are available in six different colors, depicting no stars, one star, two stars, three stars, four stars and five stars. The Trustpilot TrustBoxes get billions of impressions every month and are a highly recognizable element of our brand. 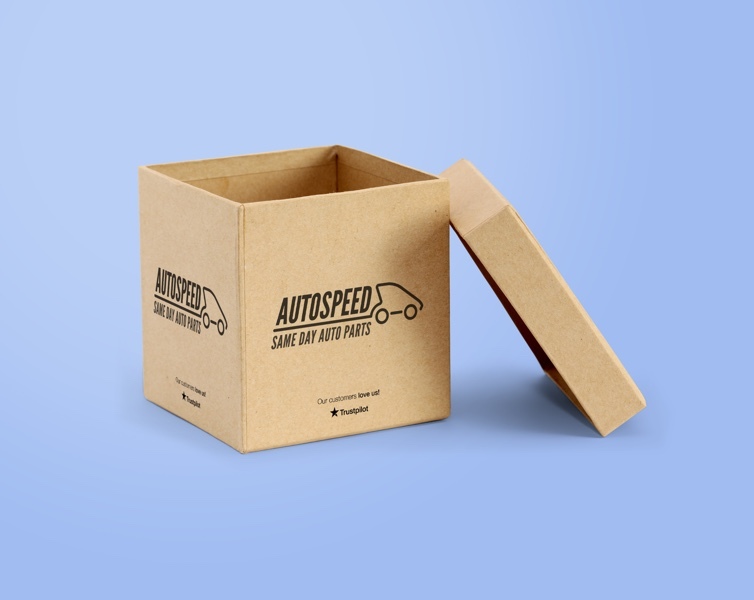 The TrustBox carries strong credibility and gives your customers buyer confidence. We have therefore designed a flexible system which closely reflects the TrustBox sizing ratio so that you can achieve the maximum benefit. When you want to showcase your rating, let it shine big and bright. 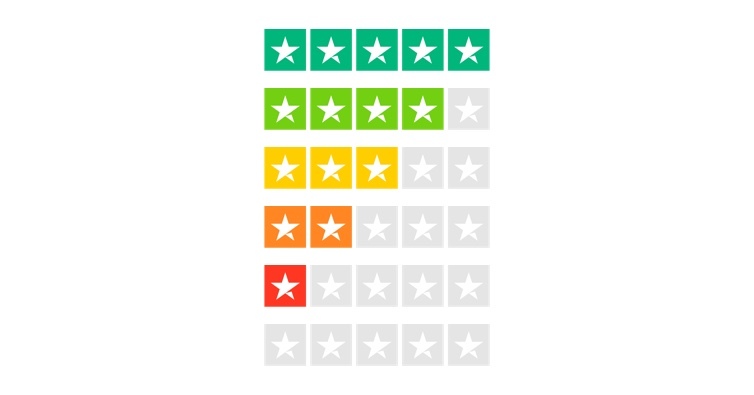 When you want to showcase both your rating and the Trustpilot logo of equal importance, use them in equal widths. 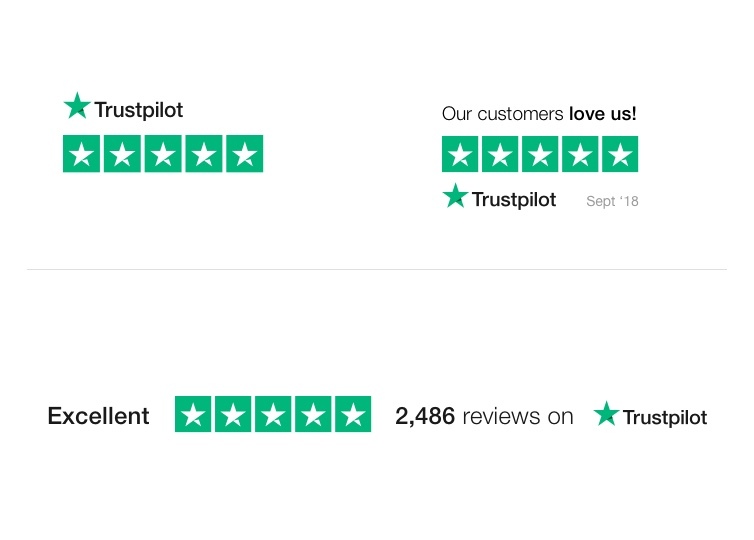 When you want to showcase that you’re on Trustpilot, you can back it up with your TrustScore and number of reviews. 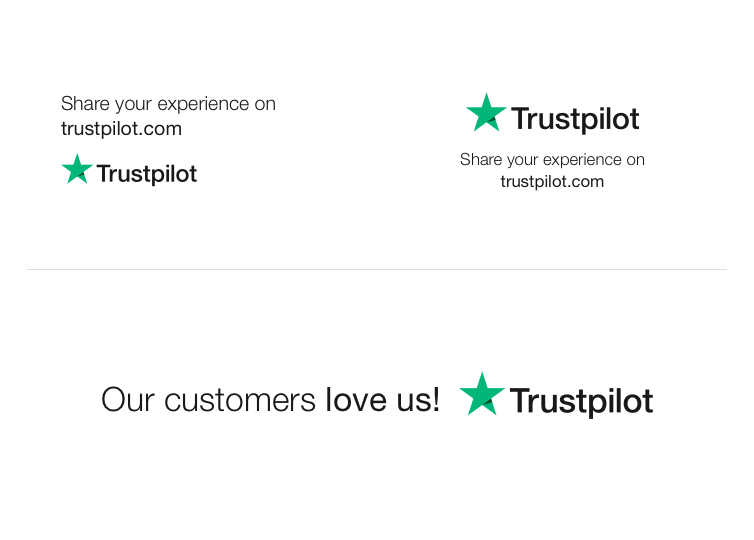 Use the Trustpilot brand mark together with a call to action. This is best using the Trustpilot brand font. The ratio between text and logo can vary, depending on which you want to emphasize. 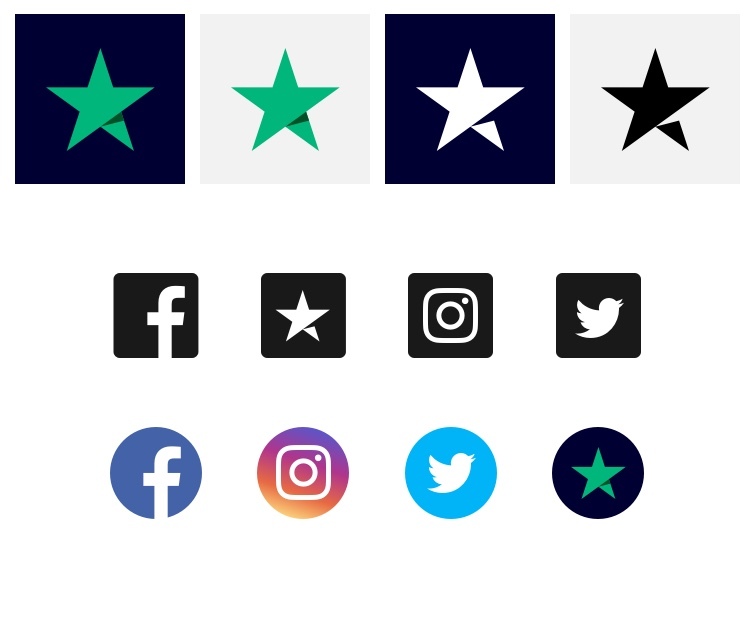 The Trustpilot star can be used on its own, but only as a social media icon. Use it together with other social media platforms such as Facebook, Twitter or Instagram. 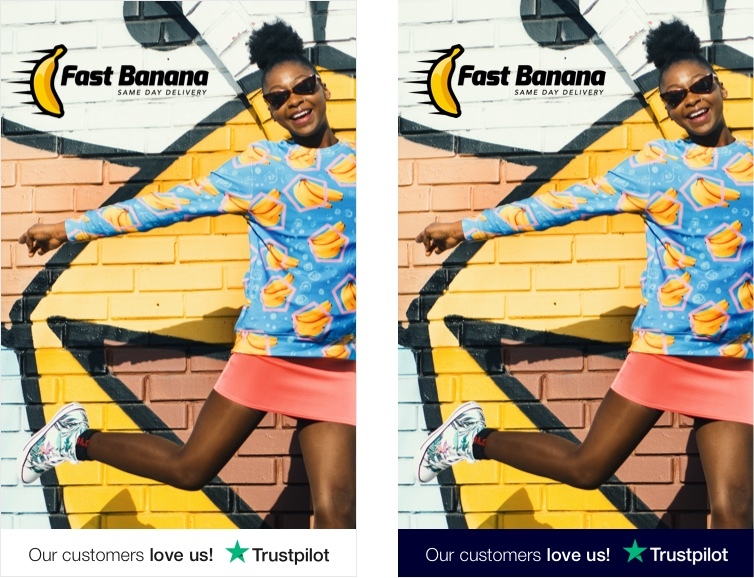 If you're a Trustpilot Lite, Pro or Enterprise customer, you can download the high-resolution files from your business app or get the low-resolution files below. Brand assets are not available to Trustpilot Free customers, but you can use our free ready-to-use widgets and our one-click sharing options. Reach out to our Sales Team to hear more about what's available for free.